During our visit to Daxu Ancient Town, there was this mysterious old man who offered to bring us around. As I was not fluent in Mandarin, I did not understand what he was talking about. I let Jam did all the talking with this man. So I just wandered off on my own though I did not really stray too far from them. This is how the old man complete with long beard looks like. 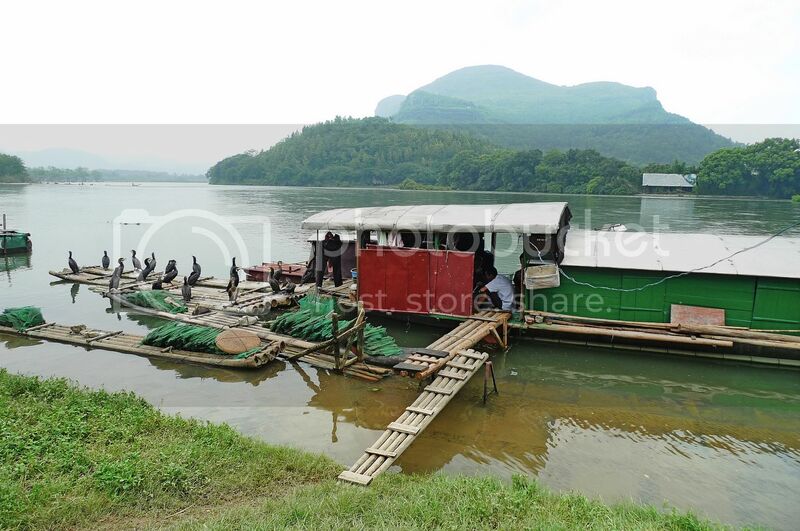 He brought us to an old dock by the Li River where we could see people living in boat houses! Oh, did you notice those cormorants? Here, let me give you a closer view. 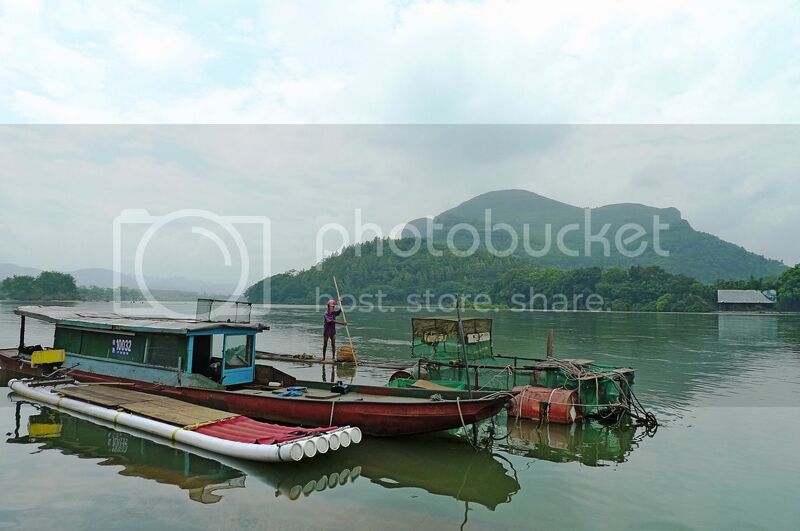 Cormorants are fresh water birds trained by the fishermen to fish on the shallow water of Li River. Unfortunately, we did not get to see these cormorants in action while we were there. The mysterious old man turned out to be a nice local folk who genuinely wanted to show us around without expecting anything! Well, he actually requested for a photo of him to be taken and sent to him, which Jam did after we returned home from Guilin. After the old man left us, we continued to explore Daxu on our own. Soon, we came to a bridge which was the famous Longevity Bridge (万寿桥)! 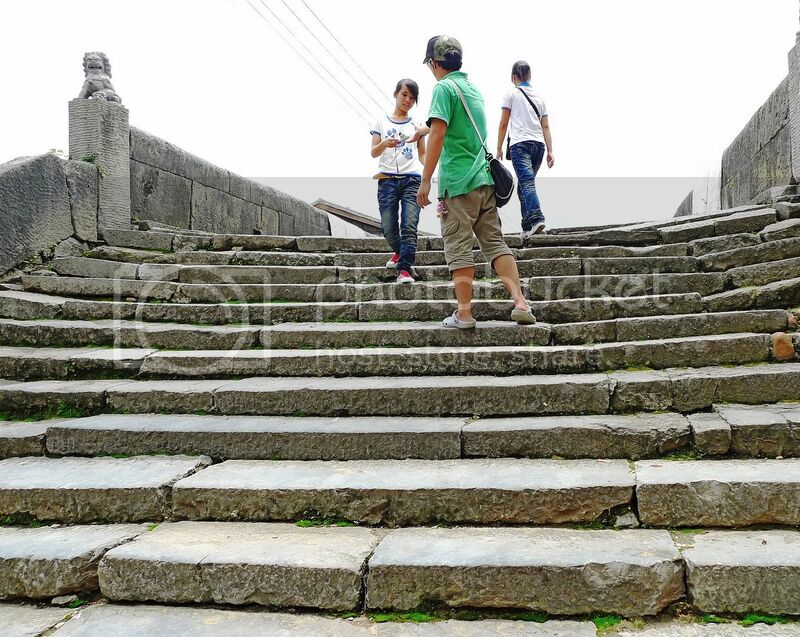 We walked up this simple stone arch bridge which was built during the Ming Dynasty about 500 years ago. What an ancient bridge! 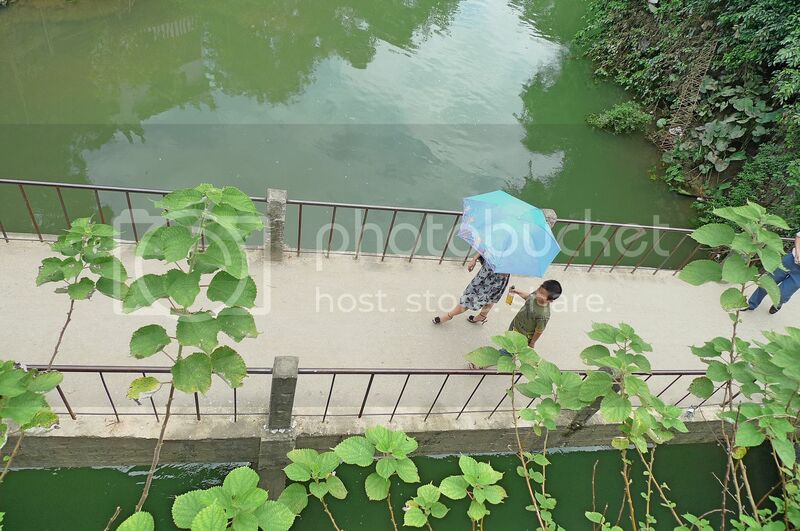 Did you know that a scene from the famous 1960 movie "Liu Sanjie" (or Third Sister Liu) was shot at this bridge? Not surprising since the bridge overlooked the Li River and provided quite a breathtaking scenery. You can watch a short YouTube video of the movie HERE. Nowadays however, the bridge is being used as a place by the locals to dry their blankets and bed sheets! That did not make a very good scenery for picture taking so I decided to focus on the view below the bridge on both sides. 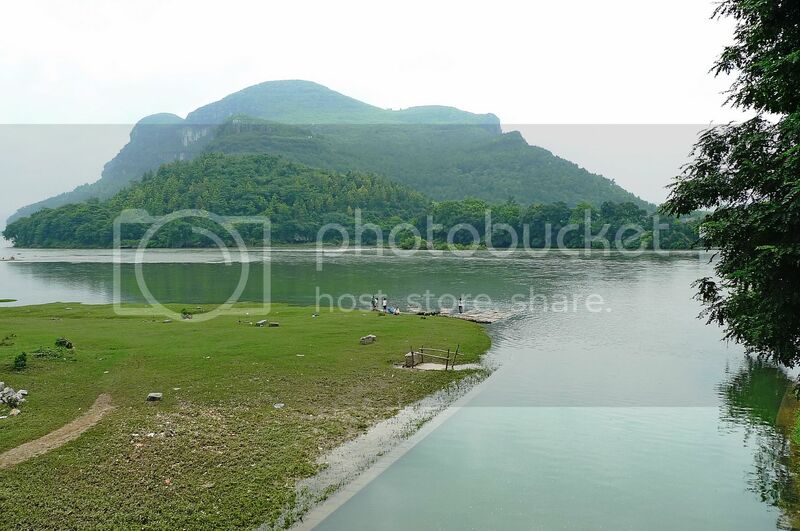 The beautiful Li River on one side of the bridge. The view on the opposite side. The view from the bridge looking directly down. 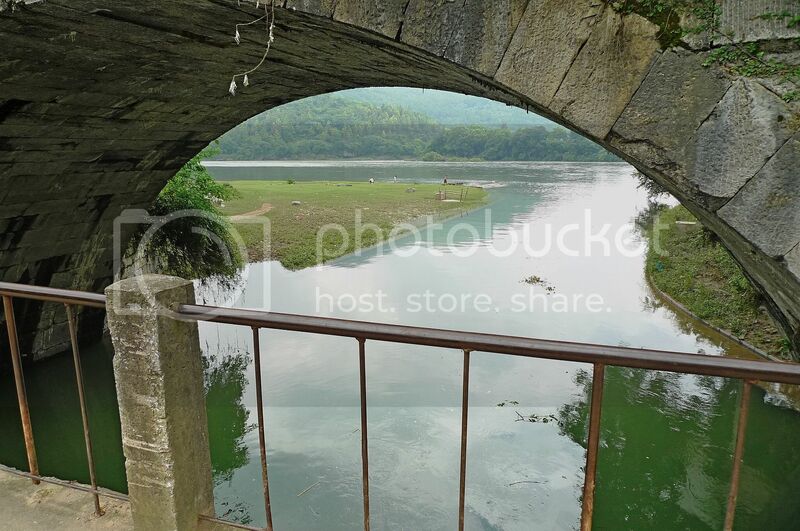 The view below the arch bridge. Coming Up Next In Part 3 : More on Daxu Ancient Town and my encounter with an angry old lady! So nice of that old man to bring u guys around, send pic edi or not? 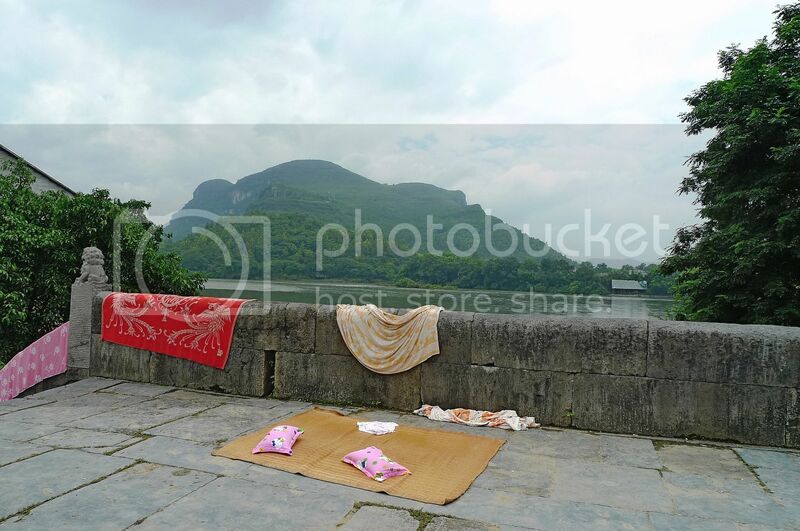 So nice of the elderly gentleman who offered to show you guys around the Li River. Drying bedsheets and blankets on the bridge is definitely an eye-sore...haha. Not easy to find kind people like the old man anymore. I can't remember you were scolded by an angry lady. Share with us in your later post. I am done with my Bandung. I will start with Cambodia in my next post. hehe the old man look so happy there. whoa! so nice one! can fishing summore! LOL! eiyerr i wanted to know the reason u get scolded by the old lady! have to wait another post pula! LOL! Awesome! There's so much history in old places. Thanks for sharing. Nice pictures. The fishing birds are amazing. I've seen a documentary on their 'occupation'. Not sure whether they were featured in something called 'Animals at work'. So interesting, always a fan of liu san jie ler. Their house look unique. Did you get the chance to visit their house? Oh oh! love the water birds! He brought you guys to an old dock? This is called a dock? Hmm....to basic? Don't you think? 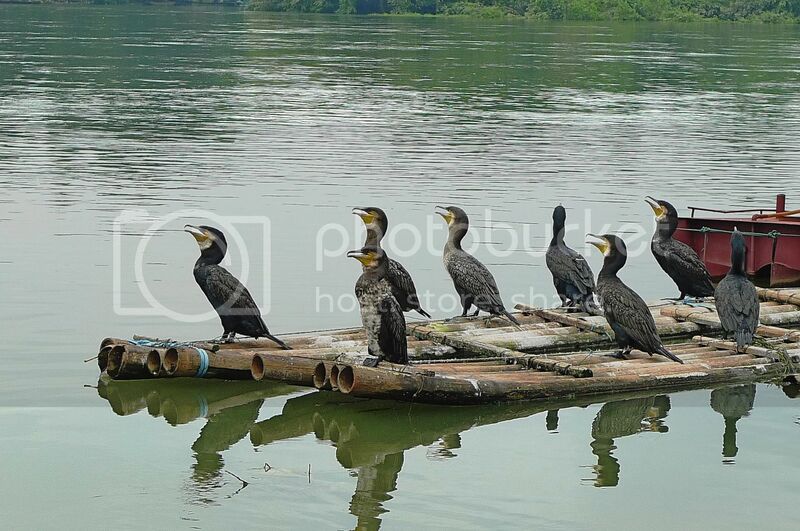 These cormorants are used to help them catch fish right? :D What were they doing? Sunbathing? Haha :D Why suddenly there is this blanket and bed? :p I thought some people are sleeping there. 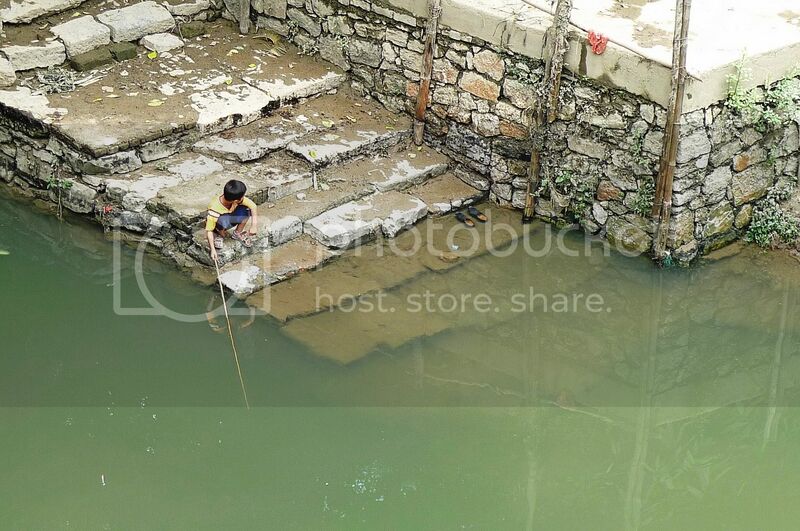 The kid was fishing? Using what? A fishing rod? It looks more like a...I don;t know...looks like he is just trying to poke something. beautiful sights of the river. lovely sceneries, our world is beautiful wherever we may be. 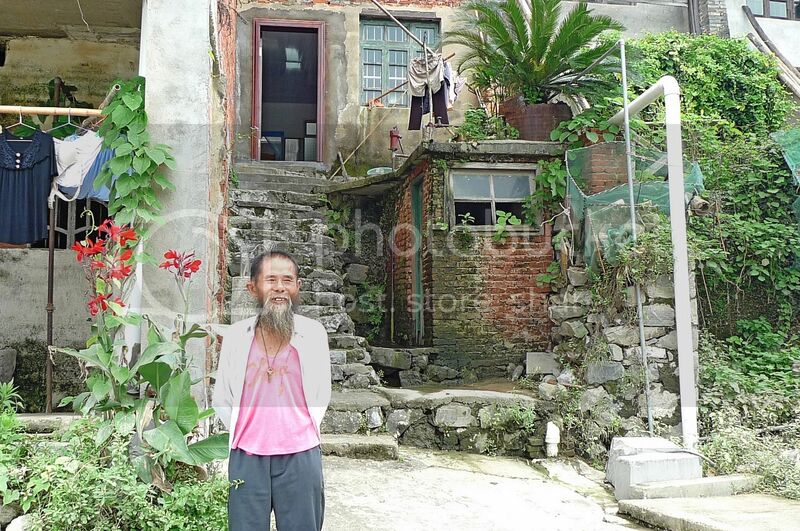 Love the house with the old man, the stony steps..th eold man is so kind to show you guys around. Oh the folks there worried the Longevity bridge may catch a cold so they took great care to spread the blanket over else that bridge may not 'lived' that long since Ming Dynasty. Nice scenery! 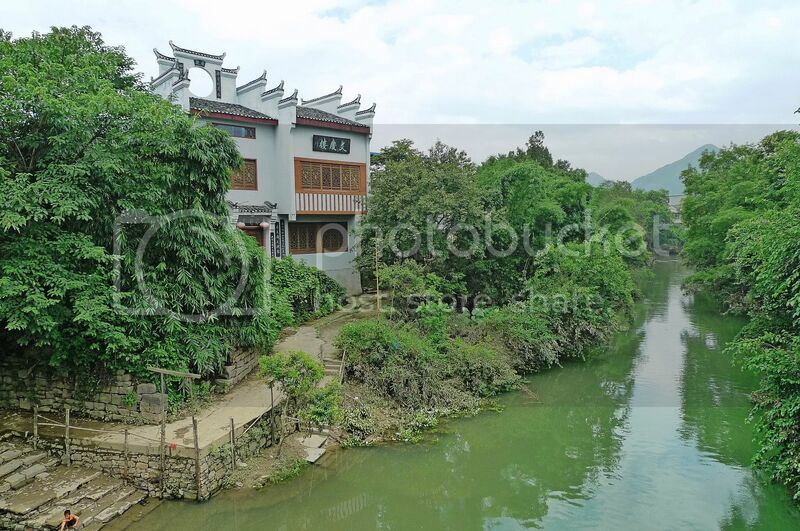 Reminds me of my trip to Xi Tang ancient village too. very peaceful and serene. So after walking on that Longevity bridge, did you have longer life span already? LOL! gula jawa....is lighter a bit than gula melaka taste....quite smooth...just like white wine vs red wine...hahaha....dunno how to describe the real taste of it. mariuca, SSG = Sneaky Speedy Gonzales right? Hahaha!! jam, haha! You have amnesia? Oh! So fast start Cambodia posts?! ghosty nana, you are a fan of Liu Sanjie? bluecrystaldude, so everything is beautiful but spoilt by the dirty river? LOL! tekkaus, HAHAHA!! Yes he kinda look like you with the beard and all! LOL! We probably need to pay to see those cormorants in action! No free show LOL!! isley chang, didn't enter any toilets there! betchai, you are right! Our world is beautiful wherever we are! bananaz, hey you bad boy?!! Haha! I wouldn't know cos I understand very little Mandarin! Haha! kelvin, haha! He does, doesn't he? Thanks for the photos. I really liked the one with water birds in the river. Its really beautiful. so many birds on that bamboo raft!! are they from the nature or being breed by the villagers?? actually not bad staying in that village huh?? i mean temporary, since it's so serene..
those are interesting birds foong, from a far i thought there were penguins there! wah you even know that the birds are called cormorants! Good la you! The place is beautiful but the local people are destroying the beauty. They don't know that they are indirectly discouraging the tourist from coming to the place.